They're fast. They're flavorful. And they're right at your fingertips. The 50 Best Pizza Recipes is an appetizing selection of delicious pies that put a new spin on an old favorite. From Classic Cheese to Shrimp and Artichoke Pizza, there's plenty included so you can create your own signature pizza. Enjoy! They're fast. They're flavorful. And they're right at your fingertips. 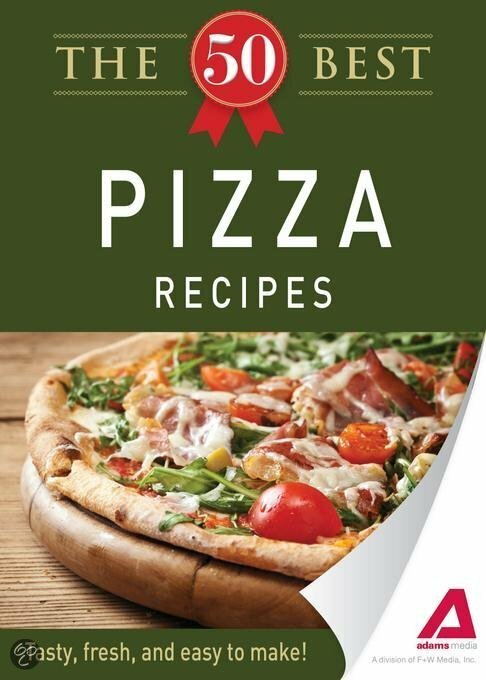 The 50 Best Pizza Recipes is an appetizing selection of delicious pies that put a new spin on an old favorite. From Classic Cheese to Shrimp and Artichoke Pizza, there's plenty included so you can create your own signature pizza. Enjoy! short_descriptionThey're fast. They're flavorful. And they're right at your fingertips. The 50 Best Pizza Recipes is an appetizing selection of delicious pies that put a new spin on an old favorite. From Classic Cheese to Shrimp and Artichoke Pizza, there's plenty included so you can create your own signature pizza. Enjoy! They're fast. They're flavorful. And they're right at your fingertips. The 50 Best Pizza Recipes is an appetizing selection of delicious pies that put a new spin on an old favorite. From Classic Cheese to Shrimp and Artichoke Pizza, there's plenty included so you can create your own signature pizza. Enjoy! long_descriptionThey're fast. They're flavorful. And they're right at your fingertips. The 50 Best Pizza Recipes is an appetizing selection of delicious pies that put a new spin on an old favorite. From Classic Cheese to Shrimp and Artichoke Pizza, there's plenty included so you can create your own signature pizza. Enjoy! They're fast. They're flavorful. And they're right at your fingertips. The 50 Best Pizza Recipes is an appetizing selection of delicious pies that put a new spin on an old favorite. From Classic Cheese to Shrimp and Artichoke Pizza, there's plenty included so you can create your own signature pizza. Enjoy!